GEO is committed to providing leading, evidence-based rehabilitation programs to individuals while in-custody and post-release into the community through the "GEO Continuum of Care." 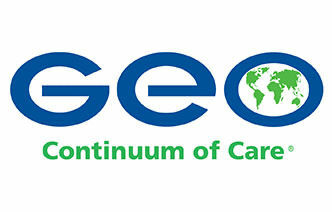 GEO's diversified services platform provides unique capabilities for the delivery of educational and vocational programs, cognitive behavioral and substance abuse treatment, and faith based services across the entire corrections spectrum. The "GEO Continuum of Care" is enhanced in-prison offender rehabilitation programs including evidence-based treatment, integrated with post-release support services. GEO's mission is to develop innovative public-private partnerships with government agencies around the globe that deliver high quality, cost-efficient correctional, detention, community reentry, and electronic monitoring services while providing industry leading rehabilitation and community reintegration programs to the men and women entrusted to our care. We are committed to providing leading, evidence-based rehabilitation programs to the men and women entrusted to our care.